Sunscreen is without a doubt one of those steps you should never miss in your skincare routine, especially during spring and summer. You’ve heard that gazillion times before and know how important it is, so I’m not going to dwell on the topic any longer. I’m all about choosing day creams or makeup with SPF already included, but now that it’s May, I think it’s about time to become even more consistent with sun protection and have a sunscreen with me, in my handbag, at all times. That’s where John Masters Organics SPF30 Natural Mineral Sunscreen comes in. I have mentioned this brand many times on the blog, so I’ll just shortly say that it’s one of the leading organic beauty brands with luxury haircare and skincare products that are loved by many. I’ve tried probably all of its skincare range and have many favorites, but it was my first time trying its sunscreen. The Natural Mineral Sunscreen is packed in an elegant, sleek tube, containing 59ml of a product. 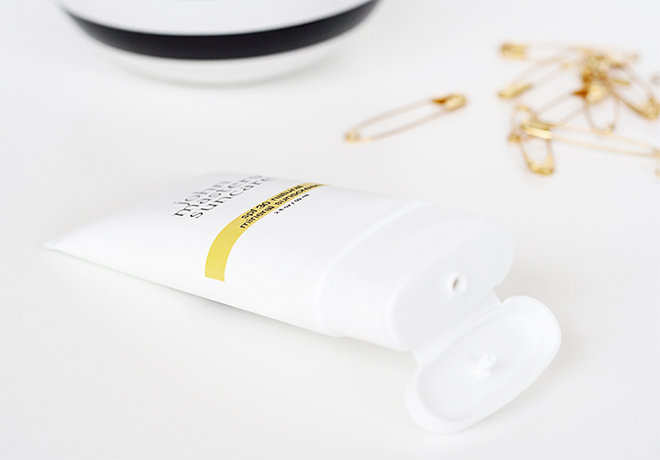 Formulated with hydrating and restoring ingredients, including shea butter, jojoba, panthenol, green tea, and hyaluronic acid, this sunscreen claims to be suitable for all skin types, even sensitive. Most importantly, it contains physical filters – titanium dioxide and zinc oxide – that protect from both UVA and UVB. The sunscreen can be used as a facial sunscreen as well as a body sunscreen, though, considering it’s size and price, I’ll probably stick to using it for face only (or emergencies). I also like that the sunscreen has no detectable scent whatsoever. Before squeezing the product out, it’s important to shake the tube well. Otherwise, it will come out too runny and probably create white streaks. After shaking it, you get a nice creamy texture, which is easy to spread and apply evenly. Many natural sunscreens I’ve tried in the past that contained physical filters left a white cast on my skin, so I was afraid this one would do the same, but fortunately, it does not. Instead, my skin feels well moisturized and velvety smooth. It might feel a tad sticky once applied, so you have to wait for about 10 minutes for it to sink into the skin completely. Once it does, it’s still definitely not a matte finish, but you can’t feel or see it on the face anymore. I don’t know how it would work for very oily skin types, but it’s perfect for anyone with dry to combination skin. It also makes an excellent base for further makeup, such as foundation. I’ve tried to reapply the sunscreen a couple of times during the day (when I wasn’t wearing makeup), and it went on smoothly, without getting too greasy or flaking away. Overall, it’s a great product to add to your skincare stash. 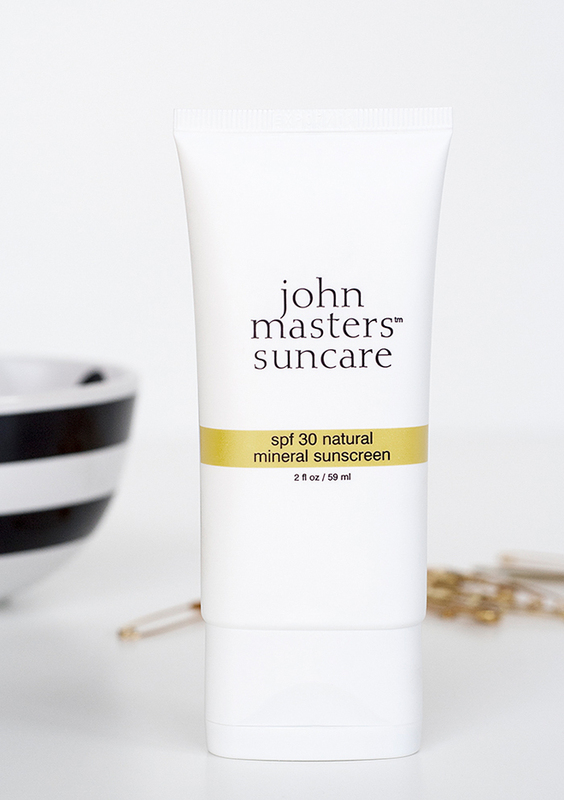 You can find this SPF30Natural Mineral Sunscreen online at stores such as Dermstore, Amazon or at any other John Masters stockists for $32/£28.50 for 59ml. Have you tried this sunscreen? Which natural sunscreen is your all-time favorite? I think this is the only suncare product John Masters have, but hopefully, they’ll expand the range soon. I haven’t tried this one but I’ve often seen the John Masters products. I have yet to try any, although this sounds like a good one 🙂 Has anyone tried Suntegrity sunscreen? It’s so lightweight, which is very refreshing because sunscreens can be very heavy and is my ABSOLUTE favorite. If anyone has, how does it compare to John Masters? I’m curious.